My name is Sister Marsha Speth. I am a Sister of Providence of St. Mary-of-the-Woods, Indiana. I entered the Sisters of Providence in 1964. After I finished my training as a Sister and also my undergraduate degree in Elementary Education I began teaching. St. Thomas Aquinas was my third assignment. I taught 2nd grade at St. Thomas from 1972-77. After leaving I taught 1st grade at St. James on the south side. In the places I taught I always became involved in some parish activities such as liturgical ministries, adult faith groups, communion to the sick etc. At those years more parishes were looking for Religious Education Directors and Pastoral Associates. So, after much prayer and discernment and with the support of my religious community I completed a Masters in Religious Education, left classroom teaching and moved into full time parish work. I served a total of 15 years in two different parishes: St. Agnes in Nashville, IN and St. Lawrence in Lawrenceville, IL. In addition I served in leadership and personnel work with the Sisters two different times. The first 6 years were in Indianapolis and then later for 10 years at St. Mary-of-the-Woods. Presently I am serving as Formation Director for the women who want to become Sisters of Providence. 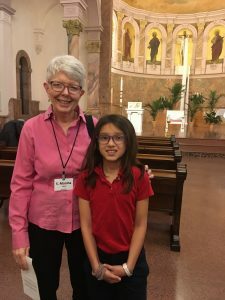 Yes, we DO have newer and younger Sisters of Providence! They are bright, talented, spiritual seekers who desire to serve others as part of a religious community. It is inspiring to work with them. I also serve as a Spiritual Director for several other women and men who come here to St. Mary-of-the-Woods for support in their spiritual life. I have enjoyed every one of my ministries. 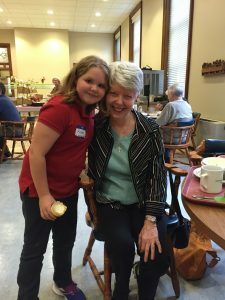 As a Sister of Providence I had the opportunity to work across a variety of age groups from teaching 6 year olds to ministry with 90 year olds and every one in between. Over the years I’ve traveled across the United States for study, ministry and a few vacations. However, two travel experiences outside the United States were special to my heart. The first was a 6 week intercultural experience in Mexico which opened my eyes to the poverty so many in our world endure and the unjust systems that keep it that way. The other experience was to visit Mother Theodore Guerin’s home in Brittany, France. In some small way that visit helped me to imbibe her courage to follow God’s call wherever it took her, especially thru times of darkness and suffering. As I look back to my time at St. Thomas I have many wonderful memories. Of course having the “Up and Down and All Around” (or later named the “One, Two, Three” house) in my classroom stood out as a special memory. That delightful structure was the brainchild of one of the STA parents and a small committee of generous workers who made it a reality. 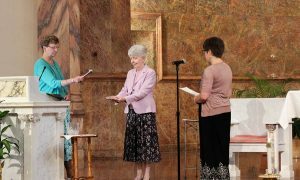 I also remember a number of unique worship experiences at St. Thomas, such as one Easter Sunday when a clown showed up at the end of Mass and the children released balloons in the air (before we knew it was an environmental “no-no”). There was a wonderful, dedicated group of Sisters at STA while I was there. Six of us lived in the small house on the corner of 47th and Illinois (now residence for Fr. Michael Hoyt). How we created a great community in that space and friendships to this day is nothing short of a miracle! Sisters Ellen Kehoe and Eileen Dede remain Sisters of Providence and I see them often. Betty Sloan and Caroline Hooge return from time to time to visit at St. Mary-of-the-Woods. 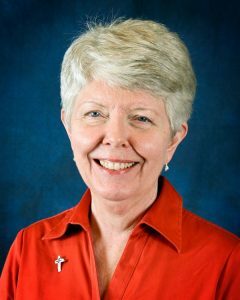 And Mary McRaith, a dear friend and mentor, died in 2016.